OVER 2,500 CHILDREN are expected to be homeless for Christmas this year as the housing crisis deepens. 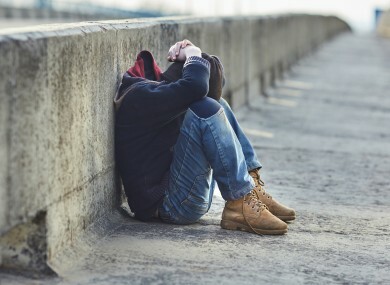 The number of families presenting as homeless has increased steadily over the last few 18 months and a number of charities and political parties have been calling on Housing Minister Simon Coveney to address the issue. There has been accusations that Coveney has been dragging his feet on the issue and making false promises to homeless charities over the availability of beds this Christmas period. Earlier this year, Dublin City Council said it was working to expand emergency accommodation provision and will be bringing an additional 210 bed spaces into use as soon as possible as part of it’s winter strategy to prevent rough sleeping. Inner City Helping Homeless (ICHH) director Anthony Flynn described how the demand for beds rises in the city every Christmas and the supply of emergency accommodation is never enough. He said: “For whatever reason, we see an increase in the number of people presenting every Christmas as homeless. It’s one of the busiest times of the year and it’s also one of the most dangerous. These people are vulnerable and a lot would be newly homeless around this time. Dublin City Councillor Daithí De Roiste has also weighed in on the homeless crisis, laying the blame at Housing Minister Simon Coveney’s doorstep. De Roiste said this year’s capital budget for DCC only provided for 1,500 new houses across the capital, nowhere near enough to address the crisis. This is once again like sticking plasters on gun shot wounds. A number of campaigns have been launched to help those homeless over the Christmas period. One of those is Focus Ireland. Sister Stanislaus Kennedy launched Focus Ireland’s Christmas appeal last month with a hard-hitting campaign that highlights a record number of over 2,400 children and nearly 1,200 families are homeless nationwide. Sr Stan, as she is affectionately known as, spoke of the terrible impact being homeless has on children and families. She said: “Christmas should be one of the happiest times of year for children and their families. However, it breaks my heart to think that up to 2,500 children will be homeless on Christmas day this year. Email “Over 2,500 children are homeless this Christmas - here's what's being done to help”. Feedback on “Over 2,500 children are homeless this Christmas - here's what's being done to help”.